...delicious pastry platters, and provide coffee and soft drinks for your special event. We’ve created a menu that features seasonal and sustainable ingredients. Everything is made from scratch with care and attention. All items available for pick up at our cafe at 149 South Champlain St. in Burlington. Pastry & coffee pick up is available from 7:30am-4pm Monday – Saturday. We no longer provide delivery, but recommend Green Mountain Messenger. To ensure our best service, we require a minimum of 48 hours’ notice for orders. Orders are accepted via phone at 802-540-0060 or 802-540-8160, also at events@augustfirstvt.com. Also, if you reach voicemail, please leave your name and number so we can return your call. Confirmation from August First is necessary in order to process your order. Thank you! Our award-winning, flaky and buttery biscuits made with real Vermont maple syrup from Gillilan famly farm. One of our most popular treats! Freshly baked pumpkin bread with Belgian Chocolate chips. Whole or sliced. A tasty assortment of our classic, well-loved treats! We cut each brownie and bar in half to create smaller portions so guests can enjoy more than one. 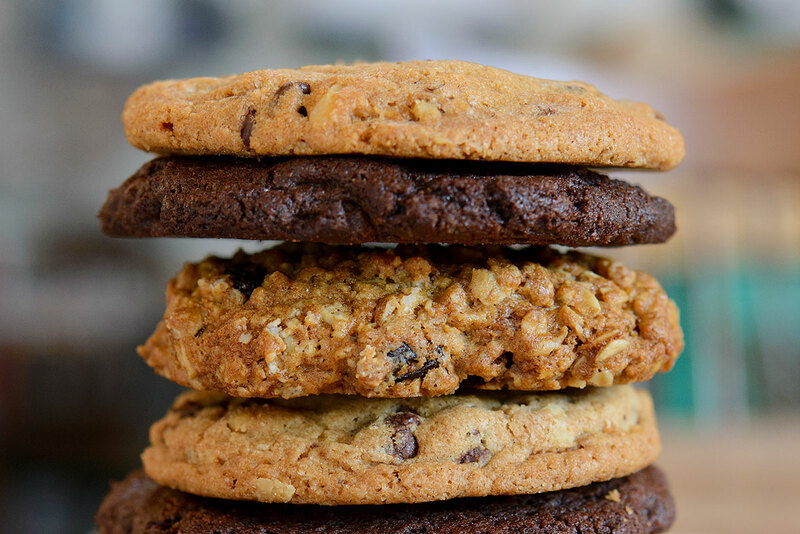 Chocolate Chip with Walnuts, Triple Belgian Chocolate, Chewy Oatmeal Raisin. Small batch, hand crafted artisan bread in the European Tradition.